Deb's Lake Conroe Real Estate & Stuff! : What Makes a Community? If you are active in the rain you understand what community means. It's not the binding of people that have known one another forever or the fact that you live next door, it is more the foundational building of a friendship, business partnership, meeting of personalities, minds and support. Within the Rain, many of us have built strong bonds of friendship and respect for our fellow bloggers and Real Estate Professionals. Well, there you have it in a nutshell. Lake Livingston Texas. We are not a particular "township" or county. We are many towns, 4 counties and subdivision after subdivision of "Community Minded" people. Lake Livingston redefines the word "local". Even with miles and miles between us we are still a tight knit community. Lake Livingston is a virtual "melting pot" of people from all walks of life, states and even countries. It is not unusual for us to schedule "tours" for people who fly in for the weekend. The clients are looking for a spot on the water with the possibility of retirement later. Our Lake area is not as "commercialized" as many others are so we still have acreage and numerous homesites available. Our lake is 90,000 surface acres of water and 450 linear miles around! It is, at the widest point, 7 miles across. On occasion I have shown houses by boat! There is nothing like loading the cooler with lunch, grabbing the binoculars and boating from property to property to help find the perfect Lakehouse by the water! We are blessed to have Bluebird Sanctuaries, Protected Piney Woods Forests, specified land for hunting and fishing and water sports galore! I thought I would bring my camera and assistant with me today to give you a quick view of our Trinity River, Lake Livingston and a few of our friends and neighbors! Please join me with some of our "Local" friends and neighbors and see why they love the lake. Our small town vendors are lifesavers when it comes to needing a quick grocery trip! You just met Denise McNatt of Mac's Superstop. Mac's Superstop consists of a Conoco gas station, Bait and Tackle shop, mini grocery store and UHaul Dealership. I have watched them grow over the last 15 years and their business is booming. You also just met John Tallent of Tallent's Grocery store. Tallents are famous for their meat processing. They have the best HOMEMADE SAUSAGE...you never sausage a deal! Tallents have the most beautiful meat counter anywhere! As weekenders drive past on their way to the lake they stop to grab a Ribeye or Ribs to throw on the grill. You can grab a brisquet BBQ sandwich or a chicken fried steak sandwich or of course, their famous sausage while they package your groceries! What a life! Next please join me for a glimpse of the Trinity River Bridge and come with me to show a house. The house is in Trinity, Texas and in Trinity county. My average drive day is anywhere from 60 to 200 miles! Off we go. You have just met Barbara and Bob from Alaska. They have now placed an offer on the house and are looking forward to fishing! Living next to our waterways is sometimes a challenge. Lake Livingston is so deep and oceanic in places it is imperative to conserve the earth from erosion. We build what is called a bulkhead to preserve our shore. The fun part is building a boathouse to keep our toys. Please meet two of my clients and friends Gabrielle and Dave Thomson. They own Waterside Construction and will help guide you in the shore conservation process. Waterside Construction is in San Jacinto County. 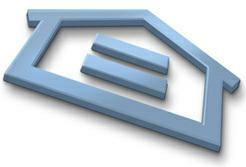 The Mortgage Corner is owned and run by a licensed Mortgage Broker by the name of Susan Bryant! Susan is a seasoned professional in the mortgage business. Her company is located in Trinity, Texas and she handles all four counties. Susan is on top of her game and is one of the BEST! Thank you for coming with me for the day! The water is fine and the friends are great! When you are ready for your tour of Lake Livingston Texas please call me and off we will go! Thank you for viewing Deb's Lake Livingston Blog and Other Stuff. We are serving Walker County, Trinity County, Polk County and San Jacinto County. 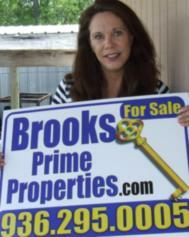 Please contact us for all your Lake Livingston Real Estate needs. Deb, Oh MY GOSH! You did a WONDERFUL job! I died laughing when I heard the music while you were driving. SO funny....also rolled on the floor hearing your BEER comment....Way to go Deb. Amazing! Deb - I think you have missed your calling as a field reporter. You are brave on camera - great stuff, my friend! Awesome! Looks like you have mastered the video part!! Funny how most of the people looked a little nervous! Nice Localism post. Hi Deb. Love the video. Hey! Those people from Alaska, they look familiar....I think they were my buyers.....Just kidding. Keep up with your interviews you would make a good "roving reporter". Deb, you did an awesome job with the challenge this week. It is great that we have an opportunity to be exposed to your talent and abilities. Deb, a 200 mile day! Boy, am I lucky that things are so close in my area. While I'm licensed in both Virginia & D.C., I sometimes dread even having to cross the bridge to show homes in D.C. even though it is only 6 miles away. It's more of a finding parking spaces kind of problem. This turned out awesome! Great work! Thanks Melanie! This was really fun. I may start carrying a flip cam with me everywhere I go...once I get one and I know it's coming! It takes longer to get mail out here in the boondocks! I hope you have a fantabulous trip to Vegas. You be careful and come back wealthy! Deb this was SOOOOOOOO good! You did a great job. I even loved the background music. This is really good! You get a gold star definitely. Deb.... Great job with the creative video introduction to your area. You have mastered this technology amazingly fast. AWWWWWWW, DEB, That was so cute!! I just love it!! You'd make a great reporter!! Kimberly, I love gold stars! As a child my mom would give me a gold star on my chart if I brushed my teeth without being told! Maybe if I promise AR that I'll brush everytime I get a gold star I'll get more...hum, that could backfire and my teeth could fall out! I really enjoyed yours too. I liked the "clean look" with so much information! I think they are all good! Dan the running man, it was not an easy task. Really. If I had a dollar for every time I had to start over...I could buy us three gallons of gas! Woo. Yvette, you are always so gracious and such a doll. One of these days we're going out to dinner together...k? Deb, What fantastic videos, I expect to see you reporting on CNN soon! Deb - You did an awesome job on all of this. I need to master video a little better. haha! I have learned to much from you and I just want to give you a very sincere thank you ! Great stuff Deb - but where on earth do you find the time for all of this?? Truly great job. Community is made up of the people who reside within. Community is people banding together for a common cause to help their neighbor. Loved the pictures also. Carole, I don't expect that to happen! I would have to bring some humor to the dreadful news of the day!! Missy, I didn't have a clue what I was going to say! I admit though, they were much more nervous than me! Simon, I must admit, I'm exhausted...but it was just another week in the rain! Robert. you are so right. I like the phrase...bonding together! So does Missy and kim!!! Great job on the area tour, Hon. That music was sooo funny!! I liked the hair blowing in the window as you were driving. It kind of went with the music. You are good at those video productions. Look out ShowWorks. Good luck on the competition. Get some rest. Wow Deb, talk about fast progress, from a video newbie last week to master interviewer this week. What a nice way to get to know your town & the people. You may have a whole new career lined up. Excellent job Deb! What a nice "taste" of Lake Livingston. Deb, this is a great post on your community and the interviews! You did a great job, thanks for sharing, it sounds like a wonderful place to live. Great idea! Going into the community you serve and talking to the people. Kinda like Hal Howser! Thanks Deb...great tour...happy to share the snowflakes of a Wisconsin winter so you don't get bored with all that sunshine ! I am sure you are a great ambasssador for the area...if we ever decide to be snowbirds, sounds like a great place to fly ! Awesome stuff Deb! Sure makes me want to come out there! Home run as usual. I believe you have been hiding this talent way too long. Deb, I loved the videos!! You do make a wonderful roving reporter. You come across as being very comfortable in front of te camera. Well done. Our profession is based on "People" and how we as Realtors act or react. Deb - My Mentor - Congrats on your feature you deserve it !! YIPIIES ! Debra: Congratulations..... you are doing a great job.. Keep it up ! Scott, thank you. I love our locals! Marti, I found that a newer camera of mine does great video. The editing was much like the slide show editing! It was fun. Kevin, You oughta taste the sausage! Marey, It is a great place to live at least if you like the water! ERA, I made a trip to your profile and it looks great! YOU keep up the good work! Sally, Snowflakes sound good here once in a while when it gets close to 100! Chris, come on out and I will take good care of you! Robert, I will see you and Silly for dinner...Mexican food! BBryant! I'm glad you enjoyed these. I'm just too goofy I think. Most of these people knew me though so I'm surprised they were surprised! Scott, I'm glad you enjoyed it! I love this community. Roland, thanks. It's amazing what these Rain guys are getting us to do! I would never have gone this far without the contest! Hello, there! Thanks for the introduction to you, and to your neigbours and to your lovely community. Appreciated! I have a sister in Texas but not sure if you are anywhere near where she lives. She lives in Cedar Creek which she tells me is outside of Austin. She keeps trying to convince us to move out there but it's really hot and I'm sure if I could endure it. Loved the clips here and I keep trying to tell my hubby that we need to do this ourselves. Maybe now I can show him how an expert does it - you that is! Great job! Deb, there is no doubt you are a people person. Great job with bringing to life everyone there in your backyard. You are becoming a master of the video. We're going to start calling you the roving reporter. Lisa, the Austin area is sooooo gorgeous too. Cedar Creek is closer to Jason Crouch than myself and you would love it there. You need to at least go visit and check it out for yourselves. Gary, yes. I am a people person. I love my friends and neighbors. I really like the video thing. I'm going to be using it more to sell houses too. That's what I'm most excited about! I've never had the desire to overcome my fear of video till this contest came about so I can tell you the contest is working! Deb you did a great job on the videos!!!! Awesome! Mike, i did and I'm planning to use a lot more video for my home showings! Jeannette, thank you and they were really fun for me! Deb, what an awesome blog! I love the video too. You are truly an expert! You are so right people make any community the happening place to be. Becky, you are so right too! If you love where you are it shows. When people move into a community they want to be accepted as one of the group! Lake Livingston is really good about opening their arms and welcoming the newcomers. Wow Deb Very impressive! Love it all! Videos are great! Congrats on your week 6 win! Good luck with next week! Deb, So THIS is what a winning entry looks like! I am so happy for both of you. It couldn't have happened to anyone nicer than the 2 of you! (other than me and Kimberly, LOL)...Happy happy day. Soak in your win and then GET BACK TO WORK on week 7! Can you believe it is week 7? Congrats again, to one of my favorite people. Wow, you deserved to be featured. I loved this blog with all the bells and whistles. Very personal, very creative. You are all I thought you would be enthusiatic, optimistic, energetic and more. You have definitately found your niche and Hollywood may be looking for you. Keep it up. I feel like I learned ALL about your community! Nice post, very personal and engaging. Thanks! I really ejoyed this post Debra. Way to go! It was outstanding on so many levels. Deb, All I can say is "wow":) Excellent post, video, subject matter and presentation. Congratulations and well deserved! Chris, thank you and I'm excited too! I would love to go to San Francisco and meet all the AR gurus! Love it. Doreen! There's a lot more to learn and the people are so nice. Victor, wow. That's a wonderful compliment. I hope I can continue to have fun with the Localism. Karen! You are a pro yourself so thank you so much! Wonderful post. I don't know how I missed it when it was featured. But, I couldn't help but think to myself.... All those people saying: "Look out.... there is that realtor with the microphone"
Good job. I look forward to more. Well, I guess it's obvious what's been keeping you busy! Nice work, Deb!! It is SO COOL to get to see other places where my Rain Friends live and work--all from the comfort (?) of my computer! Good job--do more! Loretta, my two kids were both born in Tampa Bay Fla. I love your clear waters and sunshine. I like the sun glasses BTW. Deb - I have missed so much, having a hard time keeping up. You did a terrific job with your videos, you are a lady who can wear many hats. Keep the videos coming. This was fabulous. I thoroughly enjoyed your movies and loved the car ride. Made me feel like I should look for a vacation home there. Gina, thanks. We have a pretty area and it photographs nicely! Come on down and we can be neighbors! Sounds fun.